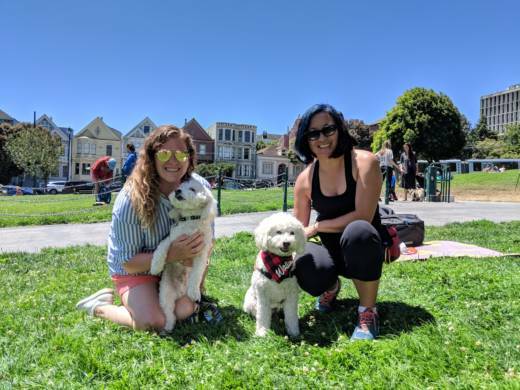 Disabled pups had a reason to celebrate this Sunday at Duboce Park in San Francisco. 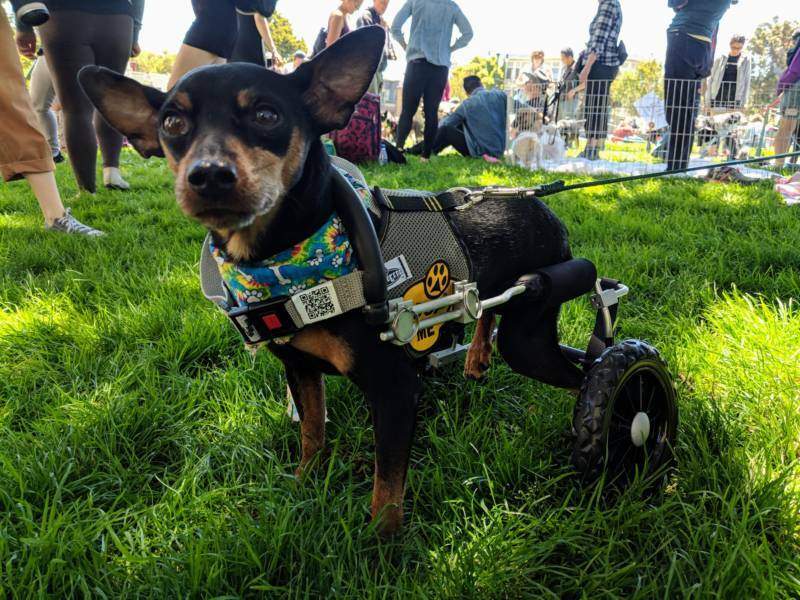 The Three-Legged Dog Picnic brought together special needs canines of all kinds including amputees, dogs with cones, casts, one eye, and wheelchairs, and pups that are blind, deaf, and toothless. 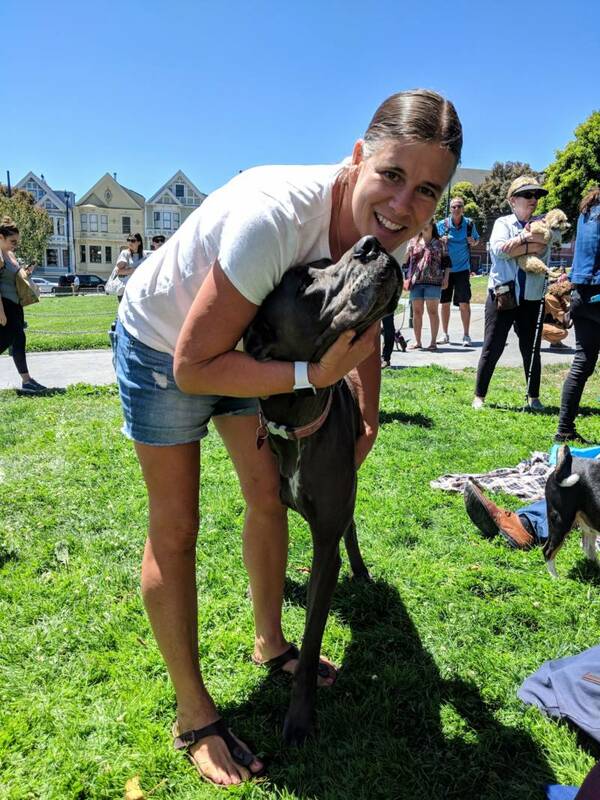 Franny Naserole started the event in Dolores Park after she saw a three-legged dog chasing a frisbee. 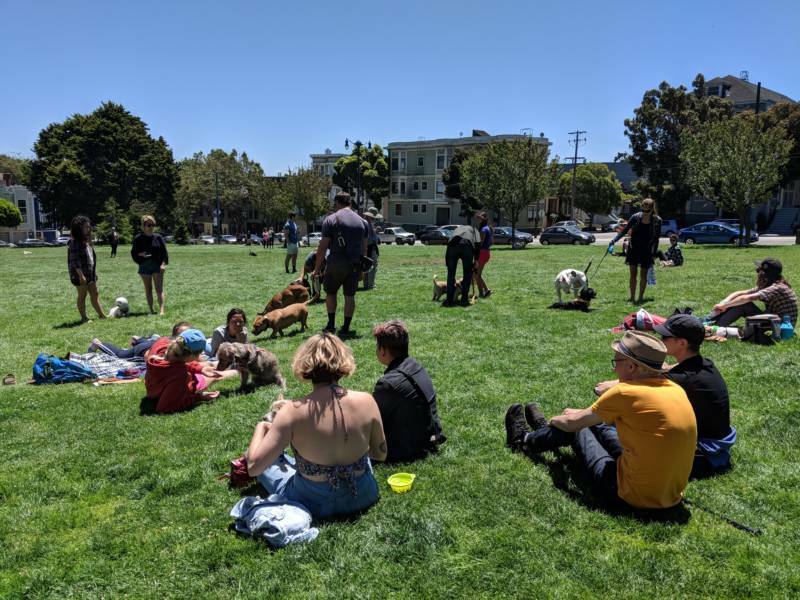 "I thought what if there were two three-legged dogs chasing that frisbee...or three?" 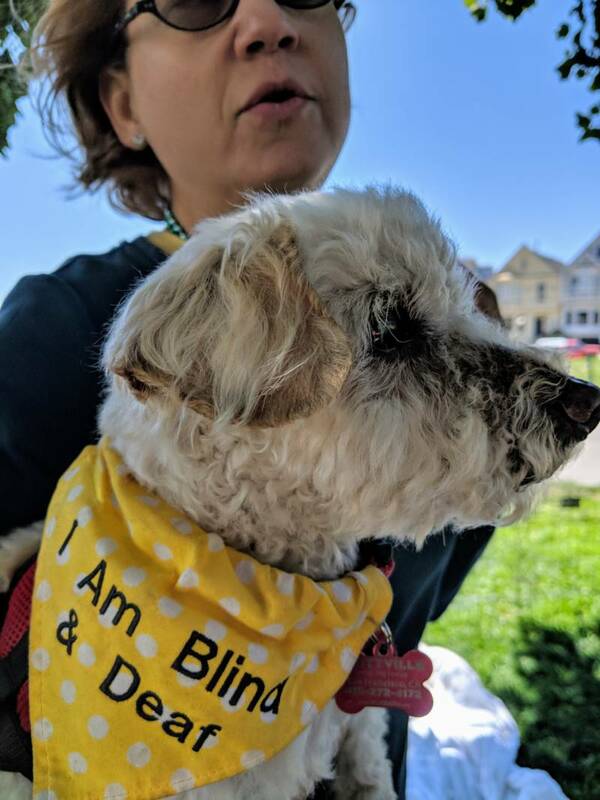 says Naserole. 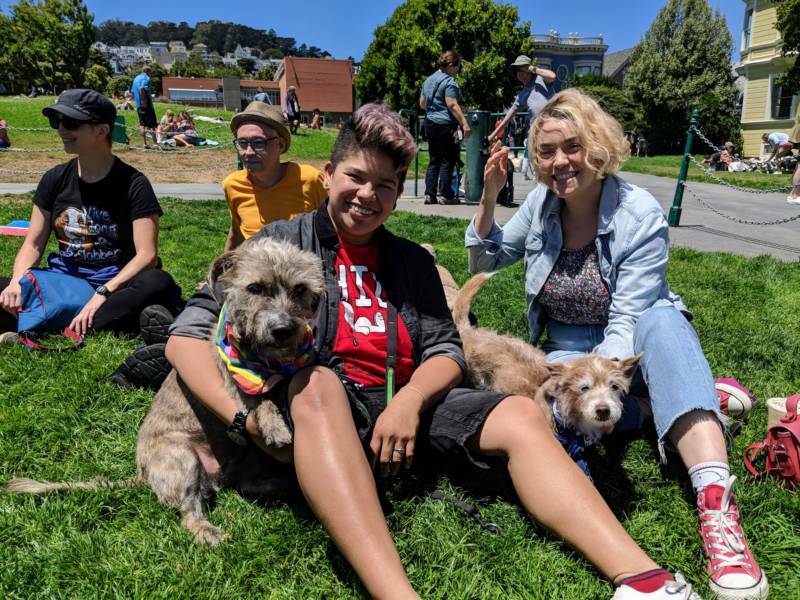 Volunteers and caretakers with a nonprofit called Muttville, which rescues senior dogs, were also there with their older dogs. 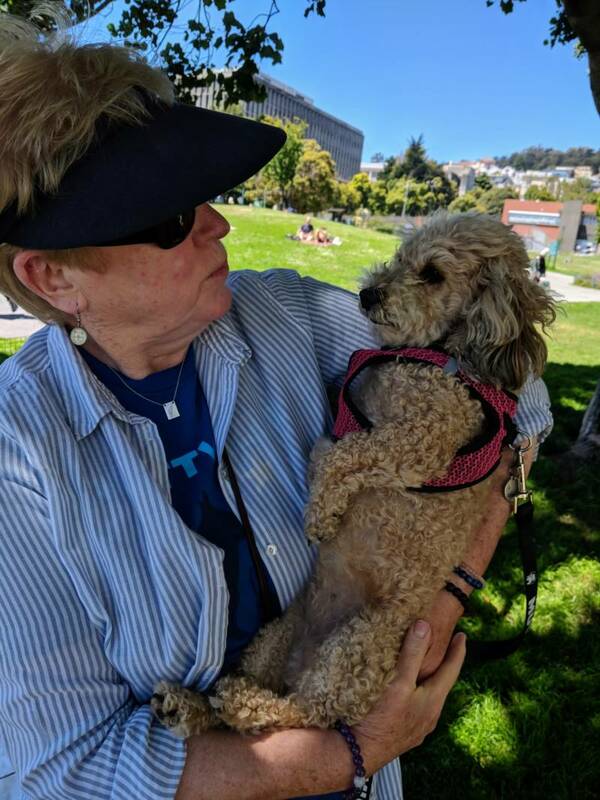 Volunteer Craig Hermes says they placed over a thousand dogs in homes last year. 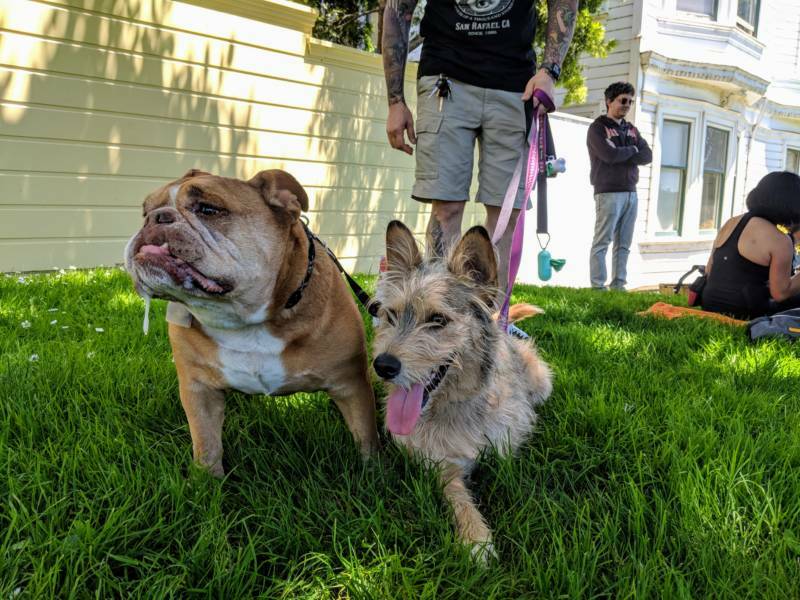 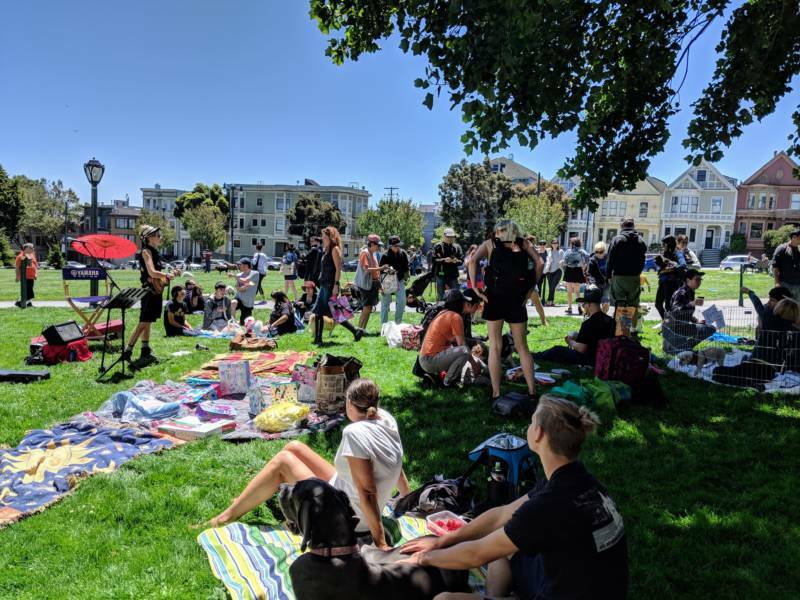 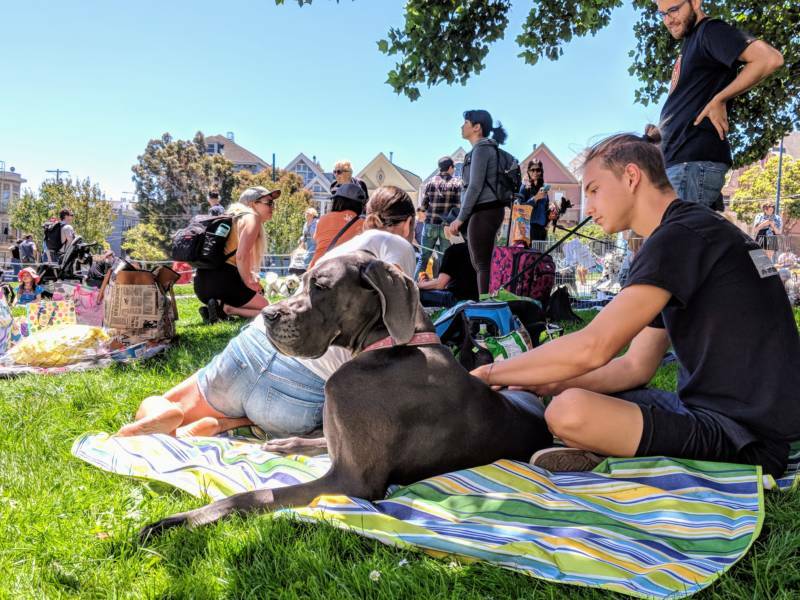 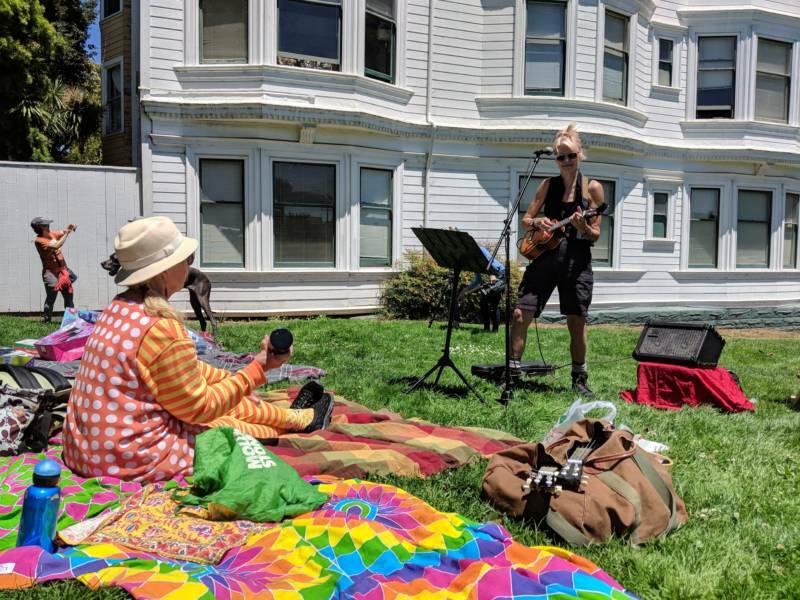 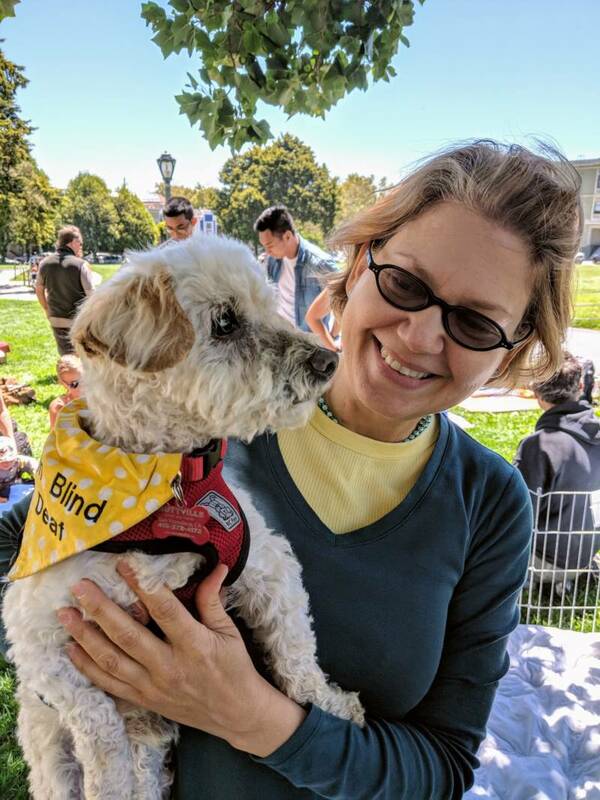 People from all over the Bay Area came out with their three-legged or disabled dogs, and shared stories about their furry friends while enjoying the sunny afternoon and live ukulele music by jazz musician Belinda Blair.